It's been a while since we've heard anything out of Ubisoft on the Prince of Persia franchise; at least, ever since they decided to "put the series on pause." Luckily, they aren't doing away with the series entirely, because a new HD remake of Prince of Persia 2 will be making an appearance on smartphones and tablets in the near future. Prince of Persia: The Shadow and the Flame will take the series back to its 2D platforming roots by updating the not-as-well-known sequel to the 1989 classic. 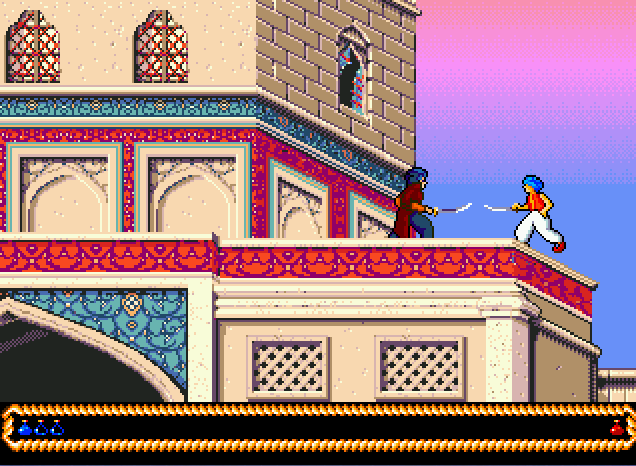 Whereas the first game was released on pretty much every platform available at the time, Prince of Persia 2 only made it to homes through DOS and MAC, and with a gimped Super Nintendo port. It's a shame it never shared the same success because its far more graphically impressive, and the refinements to combat add a whole new level to back up the platforming. Hopefully, this remake will give it a second chance. Ubisoft already remade the original Prince of Persia in HD using the same redesign given to Prince of Persia: Sands of Time and released it on XBLA and PSN. It was very well received, so hopefully they will give the same treatment this time around as well. No release date has been given yet, but it will appear across all smartphones and tablets.